VIP Promo Code: Invite your customers, prospects and industry partners to get their FREE PASS to the show by using your custom exhibitor VIP promo code. Printed Brochures: Customized printed brochures with your VIP promo code can be printed upon request at no charge. Let us know how many you need by January 19, 2018. Email Invitations: Invite your customers, prospects and partners with an easy custom email invitation featuring your VIP promo code and logo. Contact us to receive your HTML file. Social Media: New this year, we’ve created a Facebook event. Let the industry know you’ll be attending by clicking on “going.” You can also follow us on Twitter, Facebook and LinkedIn. Website Advertising: Place an event banner on your website or newsletter and let your customers and prospects know that you are exhibiting at the show. Right-click on the web banners below to save the file. 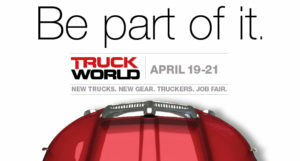 Make sure to get Truck World on your customer’s calendar using the complimentary marketing tools we provide. 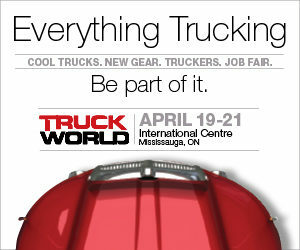 If you need any help inviting your customers, please contact Jane at jane@truckworld.ca.